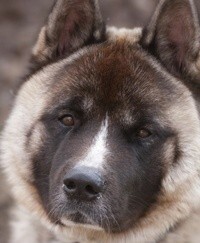 Nimbus (Am Akita) UC - We dare you! NOTES: We know he has some problems with his chest (legs) so he is not allowed to jump. Poorly muscled due to disease.